Famous not only for his writing but also for his private nature, J.D. Salinger is the author of the famous 1951 novel, The Catcher in the Rye. The autobiographic nature of the novel became the voice of a whole generation of young men wedged in frustration over the conventions of society. An immediate best-seller, the success of The Catcher in the Rye, however, did not persuade Salinger to publish another novel. Jerome David Salinger was born in New York City on January 1, 1919. He was the youngest son of a rabbi, Sol Salinger and Miriam. Not proving to be a good student, Salinger was sent to Valley Forge Military Academy in Wayne, Pennsylvania after failing at the McBurney School in New York. 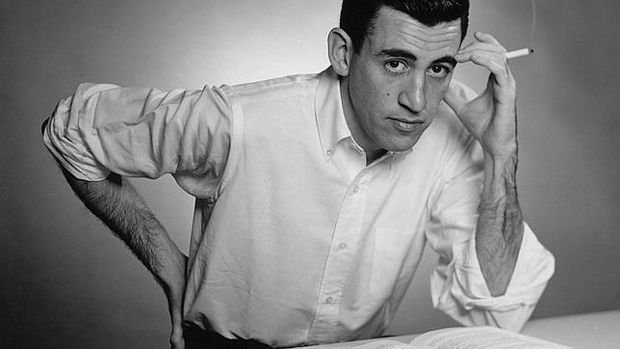 Salinger later studied at Ursinus College and New York University. Salinger published a story for the first time at the age of 21 when he met and befriended Whit Burnett who was the founder and editor of the Story Magazine at Columbia University. Burnett encouraged Salinger’s writing talent and published his stories in his magazine. Soon Salinger’s work started making its way to more publications such as the Saturday Evening Post and Collier’s. Just when Salinger’s writing career had started taking off, he was interrupted by the break of World War II and had to serve in the Army (1942-1944). It was during this time that Salinger started working on his masterpiece, giving birth to the legendry character of Holden Caulfield. The trauma from the war resulted in a nervous breakdown after which Salinger was hospitalized. While under treatment, Salinger met his first wife Sylvia, probably a German Nazi. The two stayed in marriage for a short period of 8 months only. In 1955, Salinger married again, Claire Douglas, daughter, of a noted art critic. Maintaining the marriage for a little more than 10 years, the couple had two children. Six years after his divorce, a new relationship bloomed when he noticed the name of Joyce Maynard, whose story in New York Times Magazine impressed Salinger after which he started a series of intense correspondence with her. Joyce soon moved in with Salinger and was lashed out after 10 months. In 1998 Joyce wrote about her experience with Salinger, describing him to be an obsessive lover. Maynard was not the end of Salinger’s love life. He was romantically involved with actress Ellen Joyce for some time after which he married Colleen O’Neill, a young nurse who remained his wife until his death on January 27, 2010. Salinger was showered with praise when his novel, The Catcher in the Rye was published in 1951. Despite also receiving some very harsh criticism on grounds of promoting immoral views, the book, ironically became the most taught book of the 20th century with its inclusion in the curriculum of high school literature. A best seller for life, the book has sold over 120 million copies all over the world. According to John Lennon’s assassin, Mark David Chapman, the reason for his crime was in the pages of The Catcher in the Rye which was found in Chapman’s possession at the time of his arrest. Although Salinger continued to write till the end of his days, The Catcher in the Rye remains his only published novel. He led a private life of immense secrecy and speculation. Some sources believe there may be at least 10 completed novels hidden in Salinger’s house.